AzonMobile has been bringing you tips and strategies to ensure that you are on the right track with your QR code campaigns. But we are sure that you would appreciate having all of these in one place. That is the reason why we have created this ultimate guide to help you come up with a successful QR code marketing strategy. 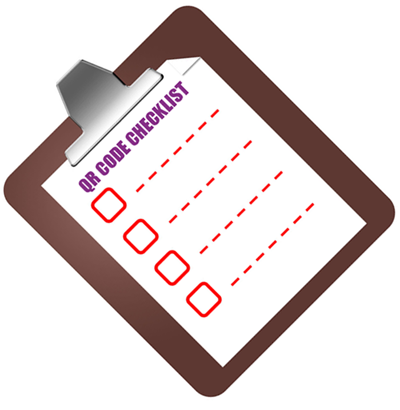 Treat it as a checklist for everything you need when using QR codes. Use a great QR code generator to come up with a great QR code. Right now, there are QR code generators that allow you to customize your QR codes easily, while also being very flexible to support your content. a. Putting up scanning instructions with your QR code. b. Making sure you have great content behind your QR code. c. Making sure that your QR codes lead to mobile-optimized content. If it leads to your Web site, be sure that you have a mobile-optimized one ready for your customers. d. Printing a QR code out and then testing it before putting it on your marketing materials. Always test your QR code to ensure that it works. e. Testing each and every aspect of your campaign. From the placement of your QR codes and marketing materials, to using different mobile devices and various scanning apps, you should test them to ensure that everything goes well. f. Always tracking and measuring your results. This way, you would know if your QR code campaign is succeeding and meeting your expectations, or if you need to improve on a certain aspect of your campaign. What else should you remember? It helps to provide customers an alternative for accessing your content. A QR code is a great way to bring awesome content to them, but what about those who are not using smartphones? You can have a near-field communication smart tag for those who are more comfortable with using their NFC phones or you can put up the content's URL in plain text. Make your QR code reflect your branding and your brand's characteristics. QR codes would form part of your marketing efforts, and they need to be in tune with your branding. You need to use a customized QR code and create content that matches your message. Use a URL shortener to make your QR codes easily scannable and simpler, too. If you are using a customized QR code, or even a traditional QR code, you would need to make sure that your customers know what to do with it and what they could get from scanning it. Make your QR code stand out. QR codes are everywhere now, but there are ways to make your QR code noticeable. Perhaps you could put them on unusual places? Learn from the mistake of others. The world of QR codes is riddled with a lot of QR code failures. Fortunately, you can learn from these QR code fails to make sure you do not do the same mistakes in your own campaigns. That's it! Be sure to follow these tips and you can be sure that your QR code marketing campaigns are on the right track. Good luck!